We have created meanwhile residential housing in a wide variety of settings across England since 2011. We’re continually learning more about how to animate unusual locations, how meanwhile use can support placemaking and how to create engaging and relatable stories. This growing expertise has helped us to build partnerships with great organisations, such as Cosmopolitan Magazine, U+I Plc and Poplar HARCA. Here’s an overview of our partnerships which make us more than a property guardian social enterprise. Poplar HARCA manages the View Tube, a community venue situated right next to the Queen Elizabeth Park. It is accessible via Pudding Mill Lane DLR station through to the Greenway. It is open 7 days a week, 9am-5pm and offers free exhibitions, a café service, bike hire and educational activities. 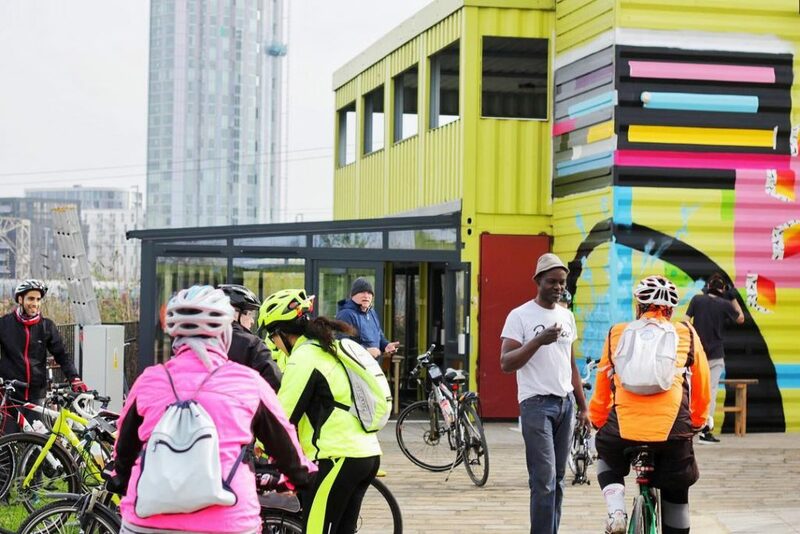 Since autumn 2015, Dot Dot Dot has provided a project management and placemaking role on behalf of Poplar HARCA, bringing the site into more socially beneficial use. As well as using the upstairs space as our office, we have researched and investigated ways to improve the overall site in support of Poplar HARCA’s community vision. We are contributing to community engagement and marketing and coordinating relationships between all partners at the site. We are looking forward to working together to make the View Tube a great success over the coming years. Browse the View Tube website and pop on by soon. In June 2016, we co-hosted an event with the property developers U+I, “Meanwhile Worthwhile Forever”. The event explored how temporary spaces can provide benefit and value to the communities in which they operate. 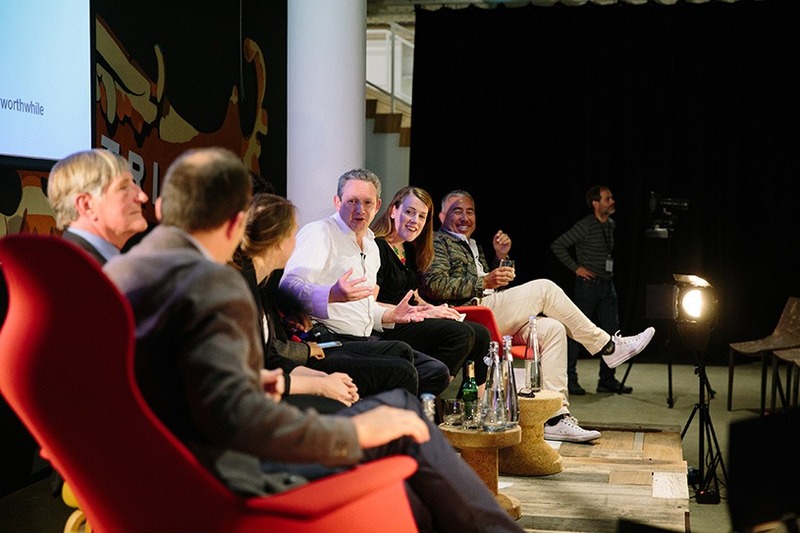 Our founder Katharine Hibbert was on the panel alongside representatives from Boxpark, London Borough of Lambeth, Argent and others. Read up on the event and watch the video. As a result of the high costs of living in major cities, young people are finding it impossible to combine their career hopes with housing realities. To highlight the issue and promote an alternative solution, we partnered with Cosmopolitan Magazine in launching its campaign Home, Made. Twelve Cosmopolitan readers have been enlisted to be housemates, all starting out in their careers. In return for cheaper rent in buildings that would otherwise be empty, they each provide 16 hours of volunteering a month in the local area for female-focused causes. A property guardian company and a magazine have never collaborated in such a way before. The collaboration received widespread coverage, including prime-time news slots on BBC 1 and Radio 5 Live. The reach from these two media platforms has catapulted Dot Dot Dot’s name and brand into areas typically beyond an organisation of its size, both in terms of geographic range and demographic depth. Explore the development of the Cosmopolitan partnership on our blog. Like the sound of collaborating with us? We are a creative and multi-talented team, so we are always on the lookout for more opportunities for editorial, placemaking and media partnerships. Get in touch with our Head of Business Development & Marketing if you’d like to discuss an idea.